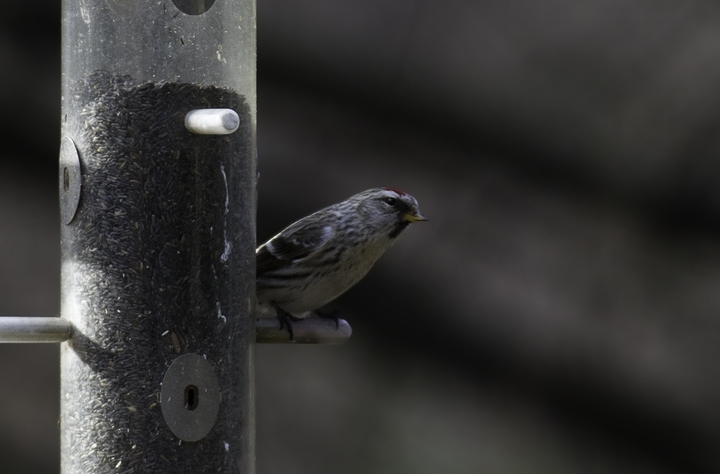 Late winter in Maryland. 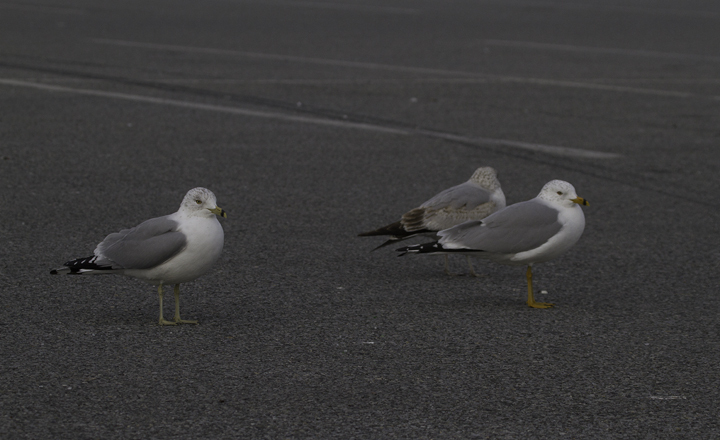 Last updated: 3/3/2011. 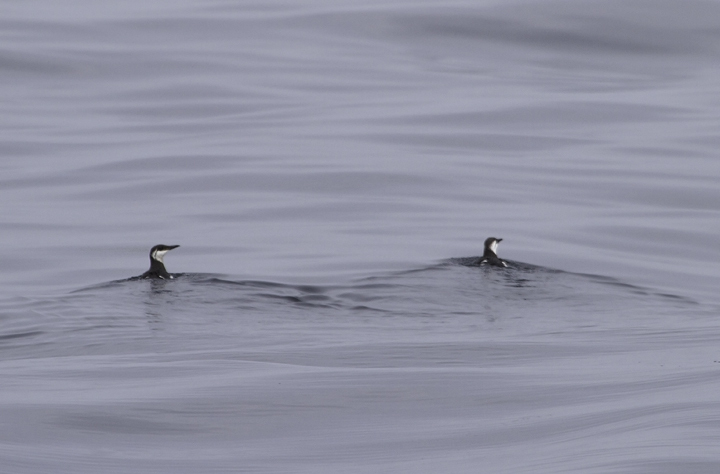 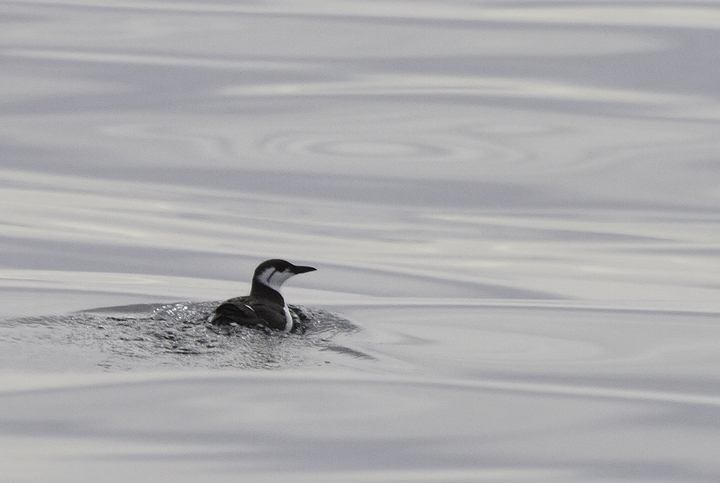 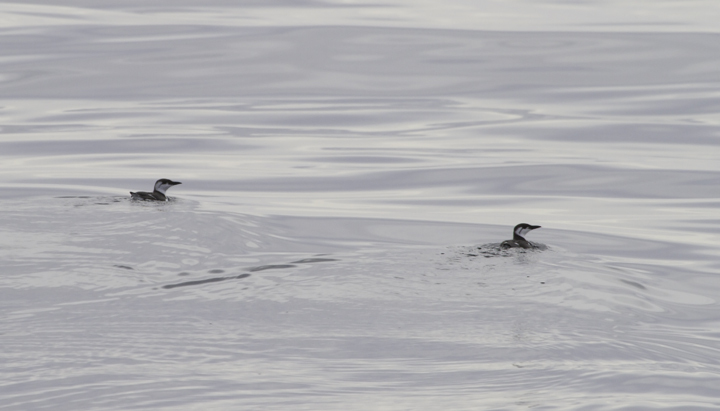 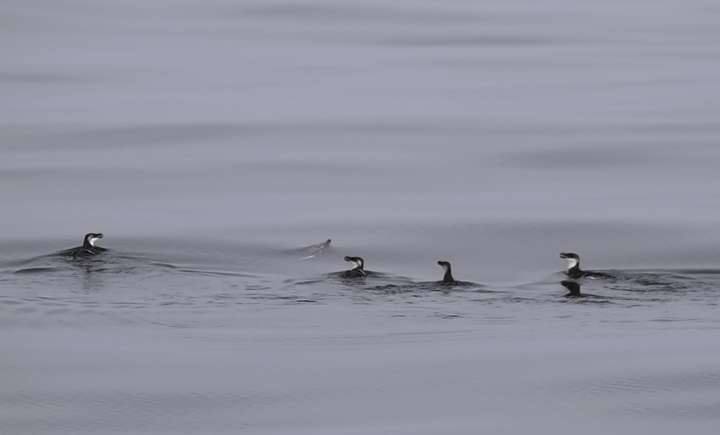 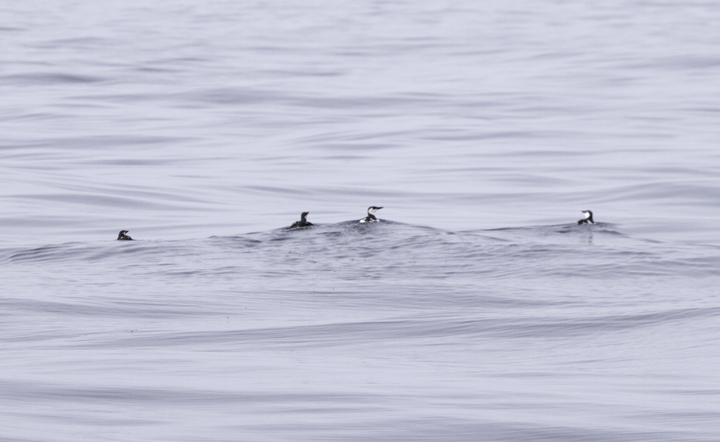 Above and below: Several of the 14 Common Murres seen on a Maryland pelagic aboard the Morning Star out of Ocean City. 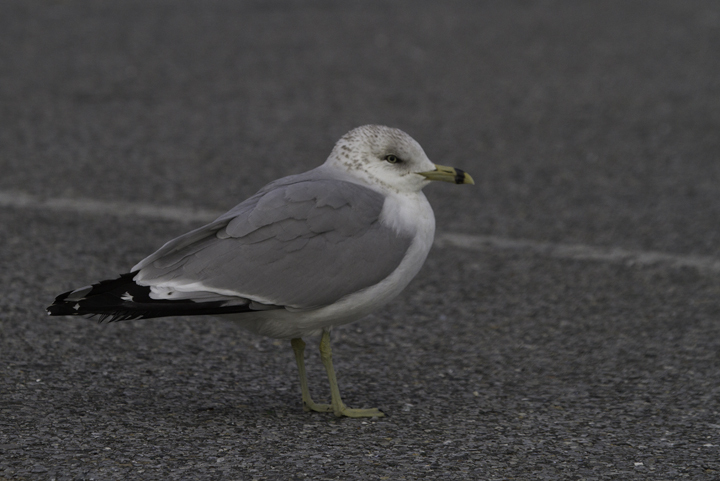 This was a new state high count for Maryland (2/26/2011). 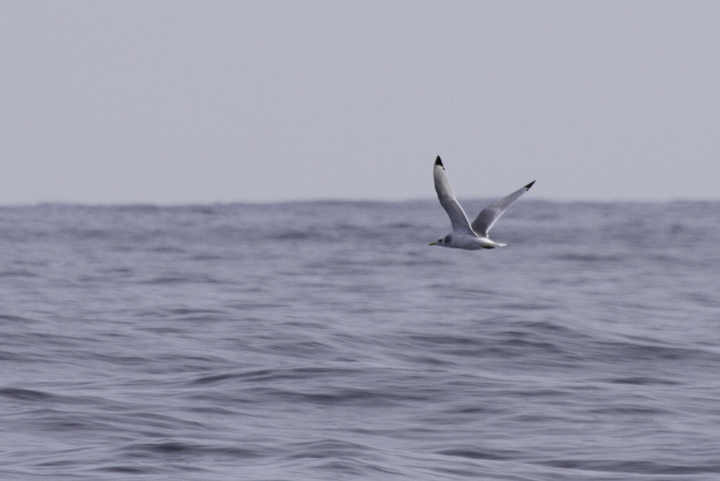 Thanks to Mark Hoffman for arranging the exceptional trip. 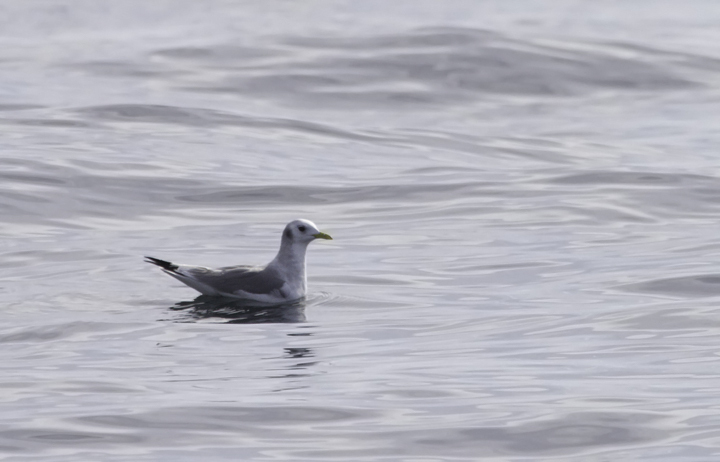 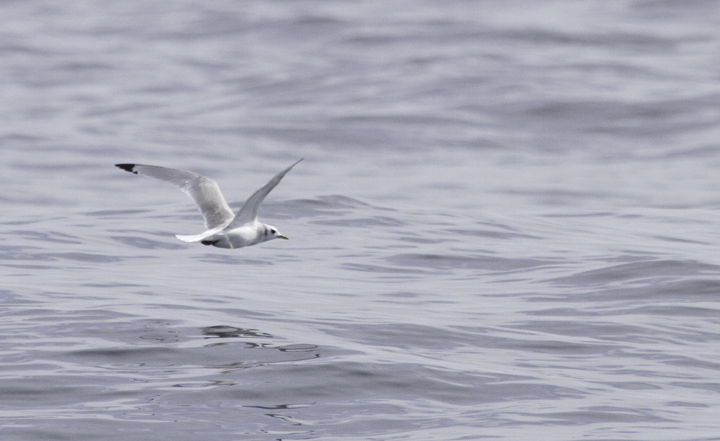 Below: An adult Black-legged Kittiwake off Ocean City, Maryland (2/26/2011). 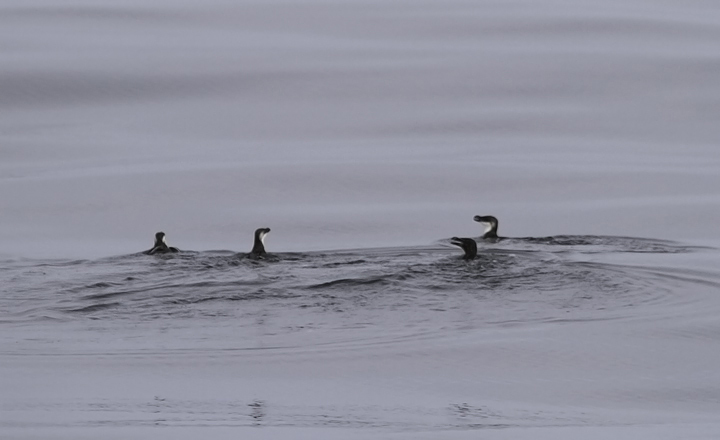 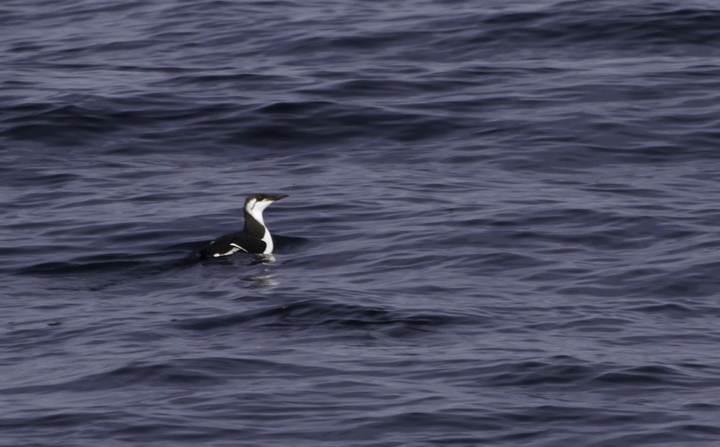 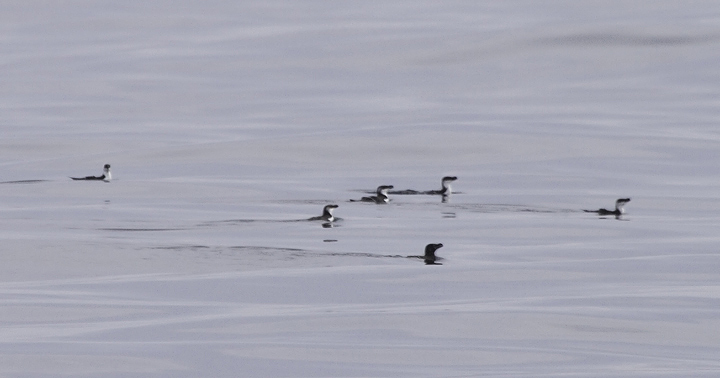 Below: Razorbills off Ocean City, Maryland (2/26/2011). 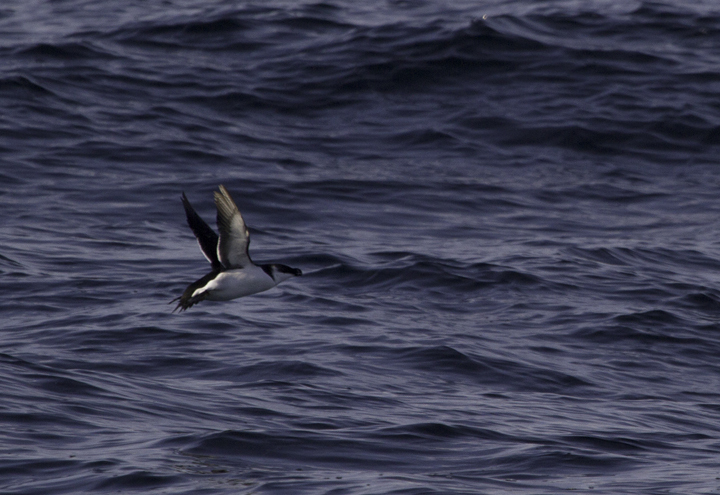 The tally of 99 Razorbills was a new state high count. 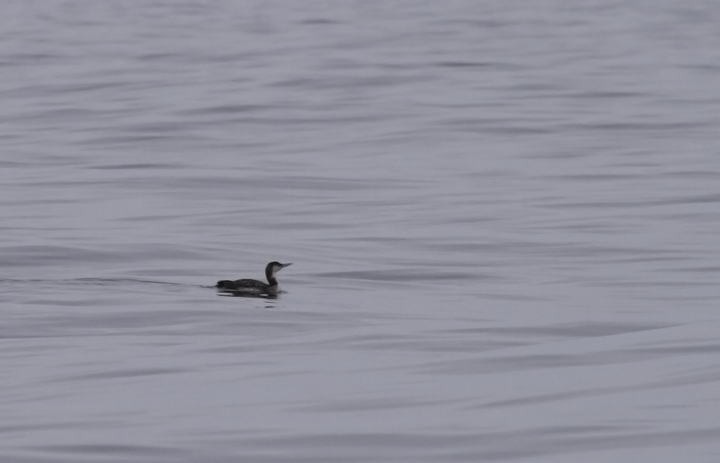 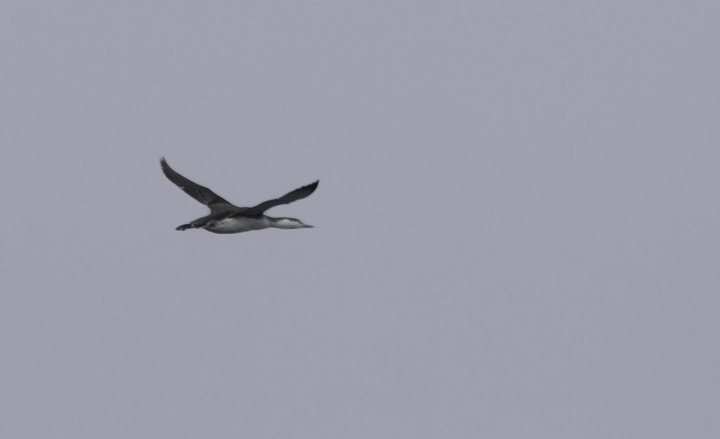 Below: A Red-throated Loon in flight off Ocean City, Maryland (2/26/2011). 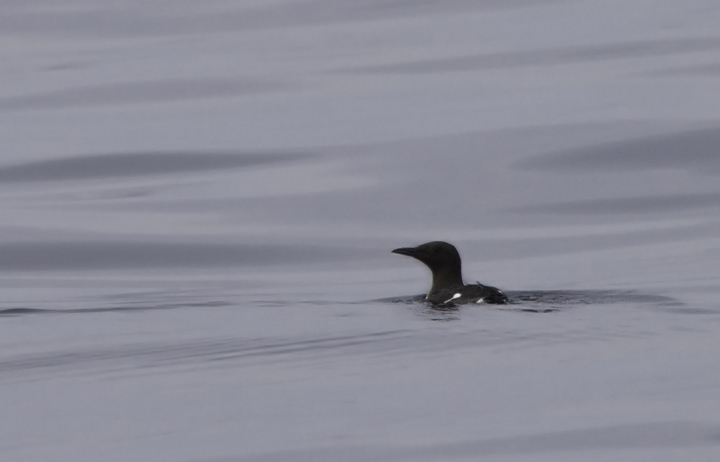 Below: This Common Loon gave a delicate impression from a distance, but gradually appeared more typical - Maryland (2/26/2011). 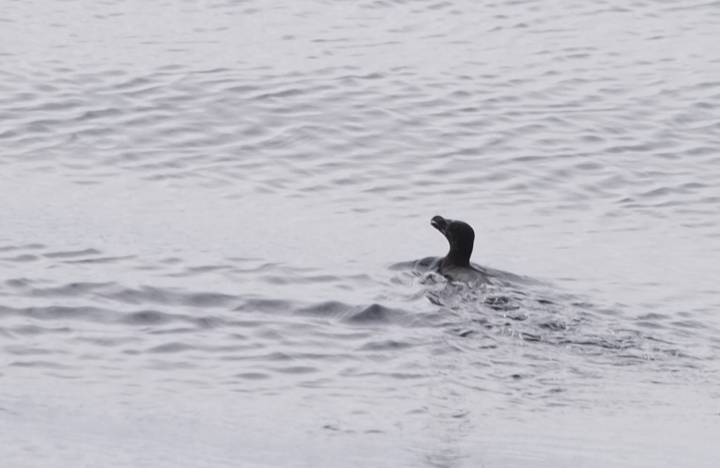 Below: A solitary dolphin was leaving the inlet in the late afternoon, and it or another was seen north of the large pier to the north 20 minutes later. 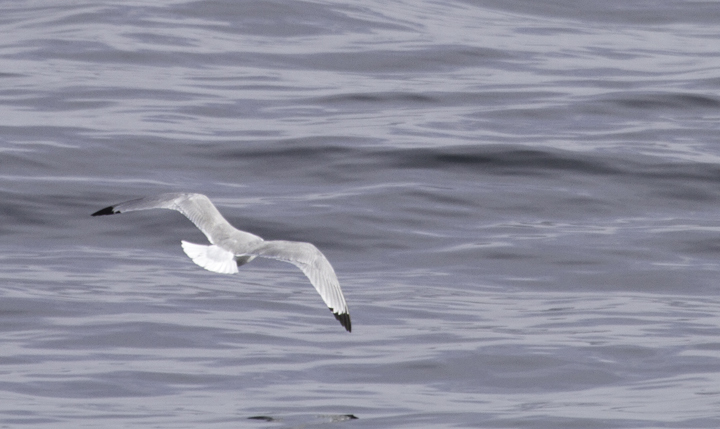 Some documentation photos might permit ID to species, but it looked more like an Atlantic Bottlenose than a Common. 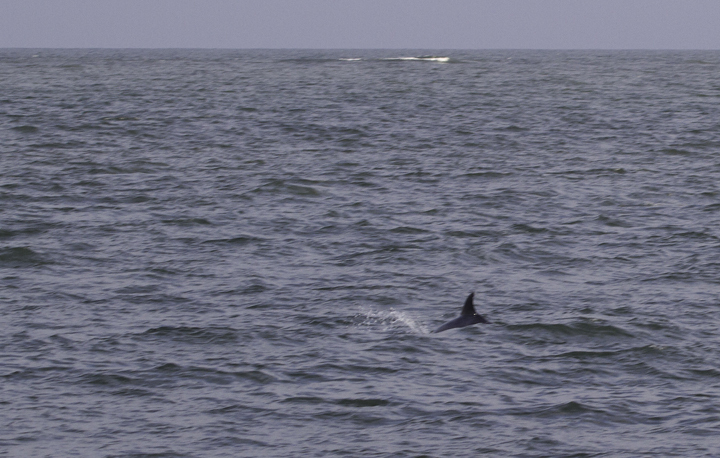 My Bottlenose Dolphin records from Maryland range from 5/31 to 10/11. 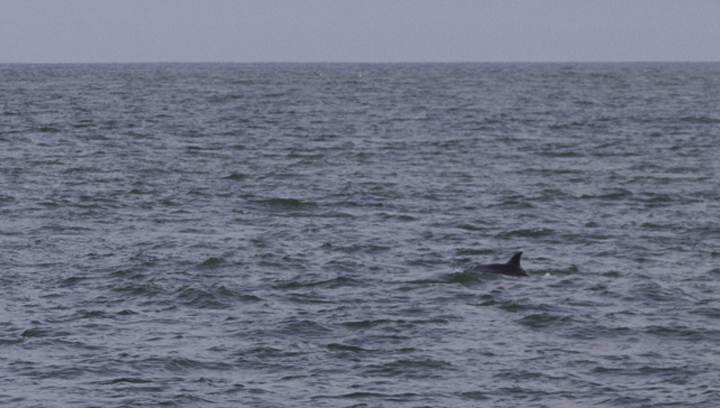 One cetacean expert pointed out the Atlantic Bottlenose Dolphins do occasionally winter locally (more so in Virginia). 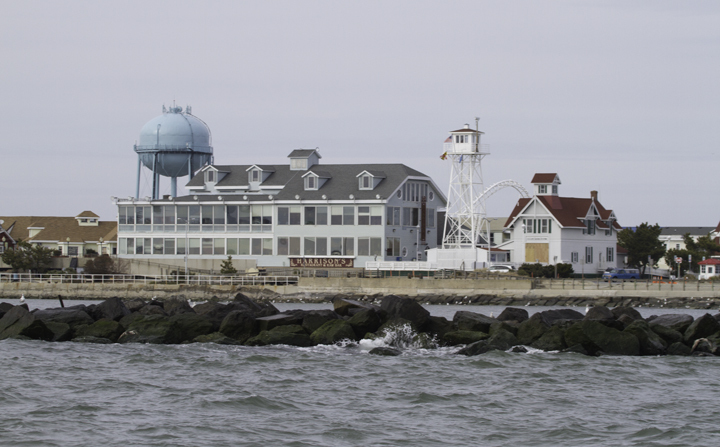 - Ocean City Inlet (2/26/2011). 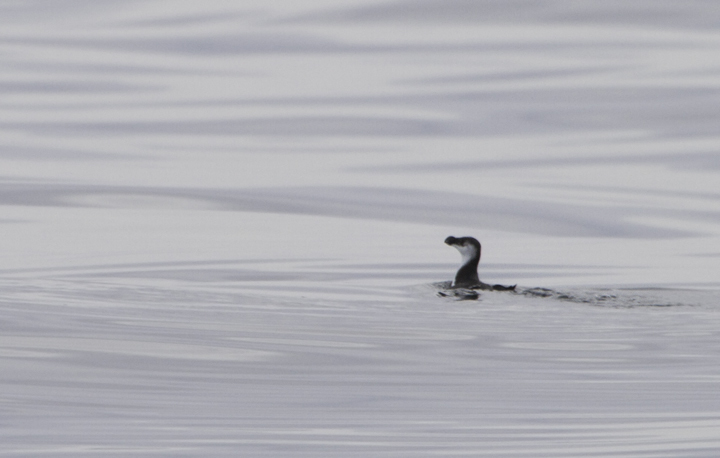 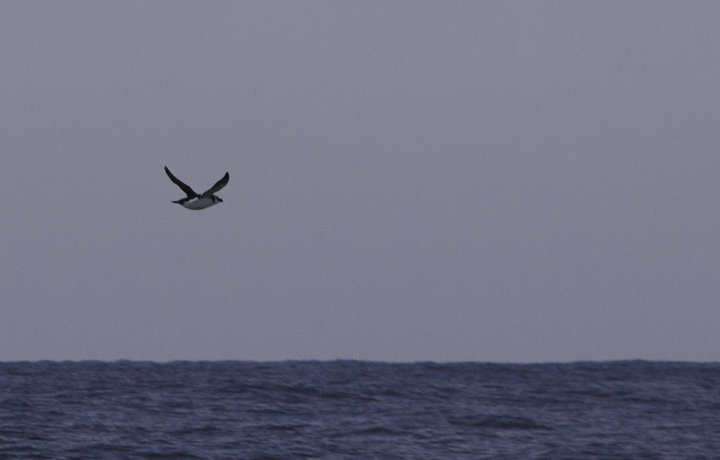 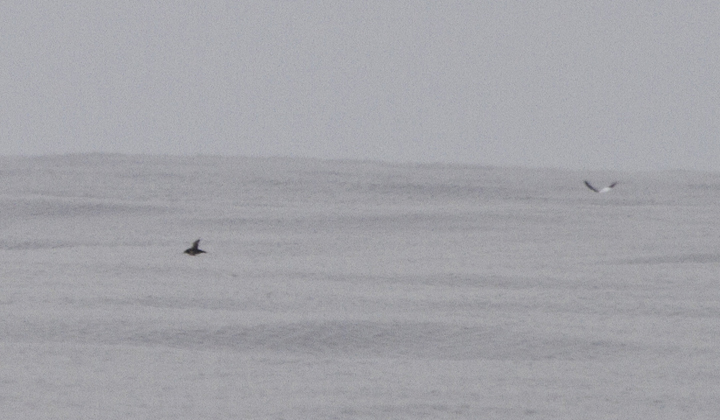 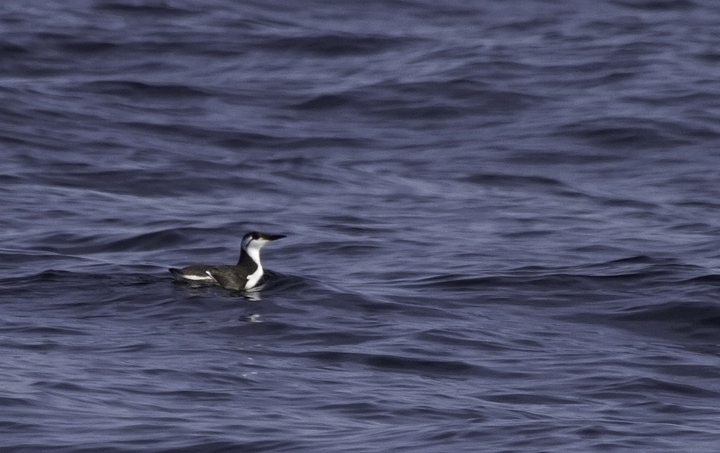 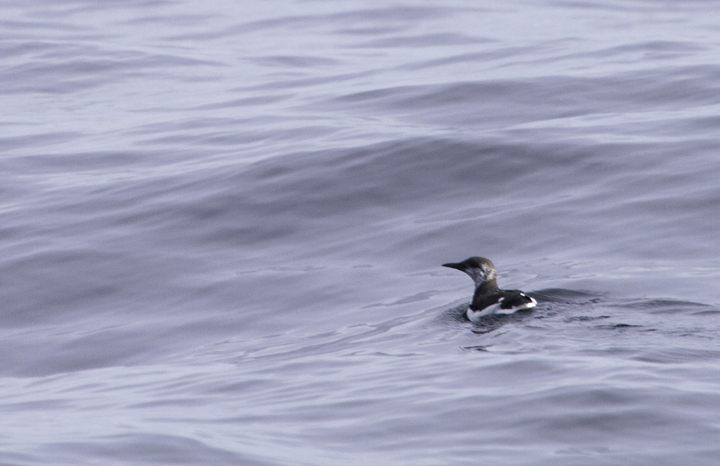 Below: Documentation shots of a distant Sooty/Short-tailed Shearwater - Maryland's first winter record (2/26/2011). 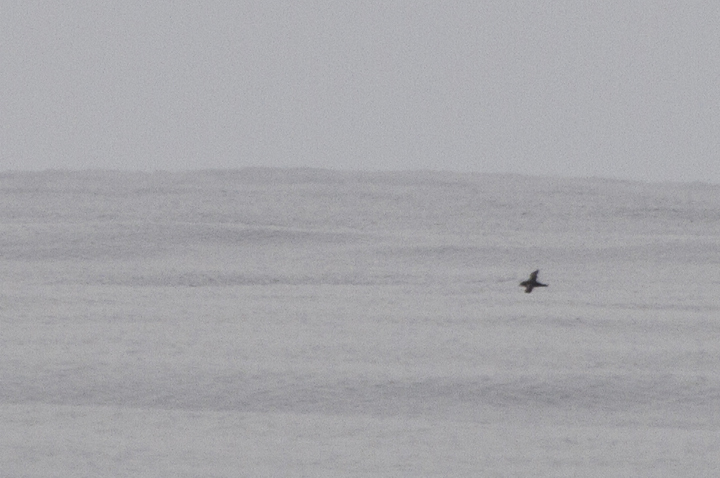 Unfortunately, these are the only photos of the bird, which was on the horizon and barely visible with the naked eye! 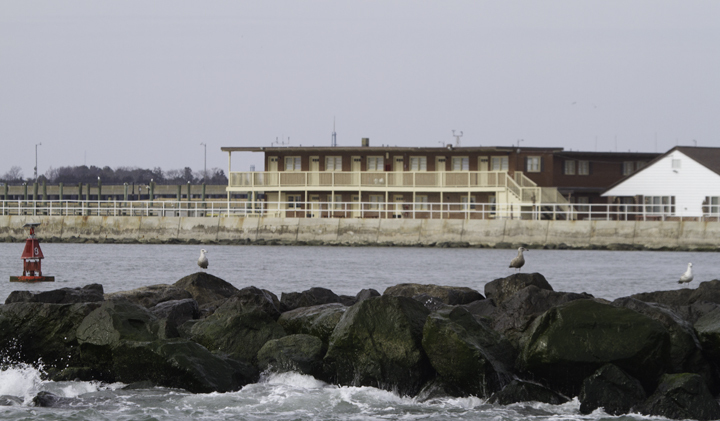 A great spot by Mikey Lutmerding. 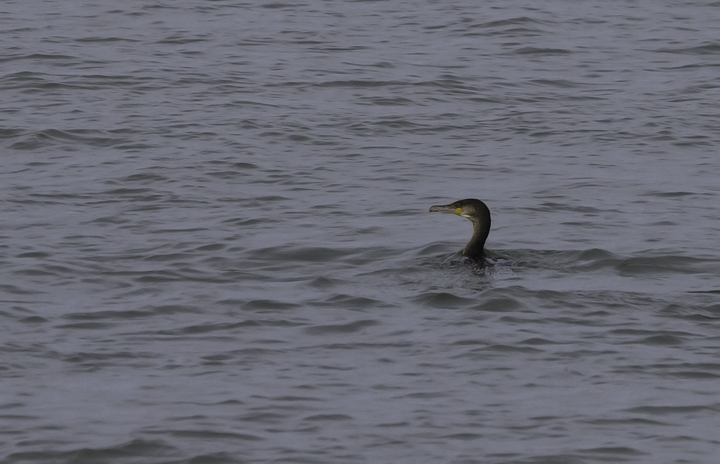 Below: An adult Great Cormorant fishing in the Ocean City Inlet, Maryland (2/26/2011). 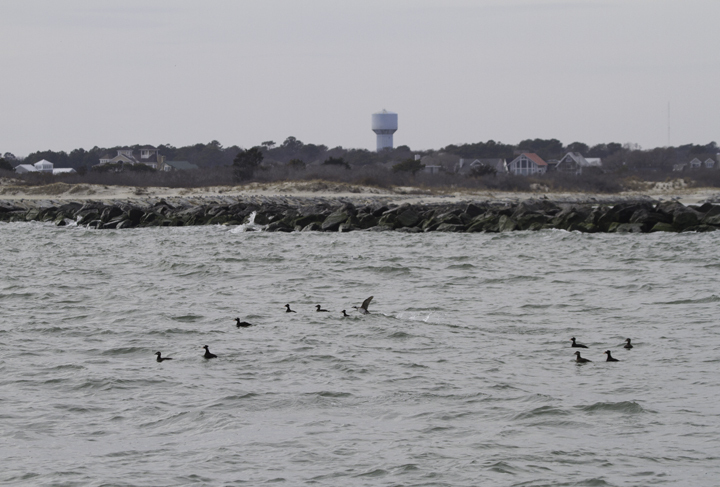 Below: Ocean City as seen from the eiders hiding south of the south jetty. 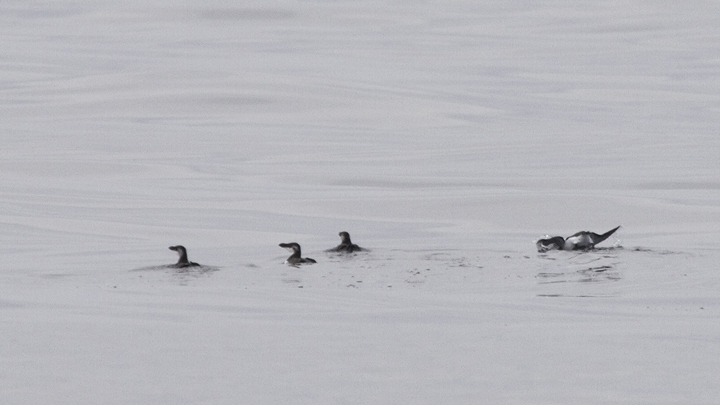 When the Morning Star took us to the south side of the jetty to have a look, we found... [drumroll]... some scoters. 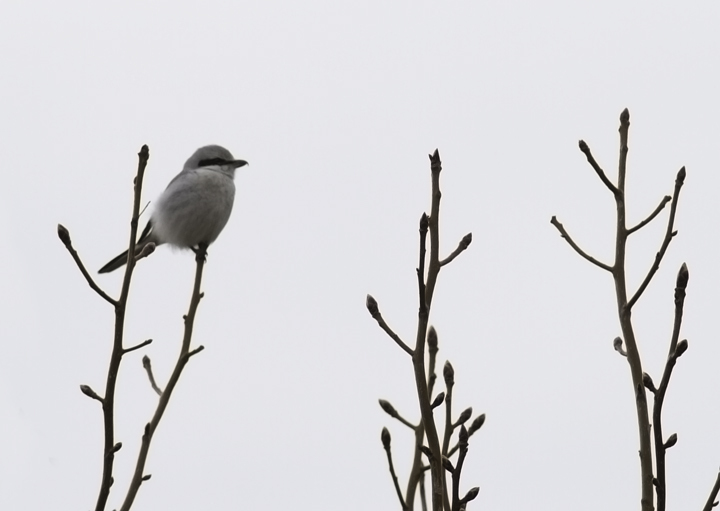 Below: The continuing Northern Shrike that has successfully wintered on Assateague Island, Maryland (2/27/2011). 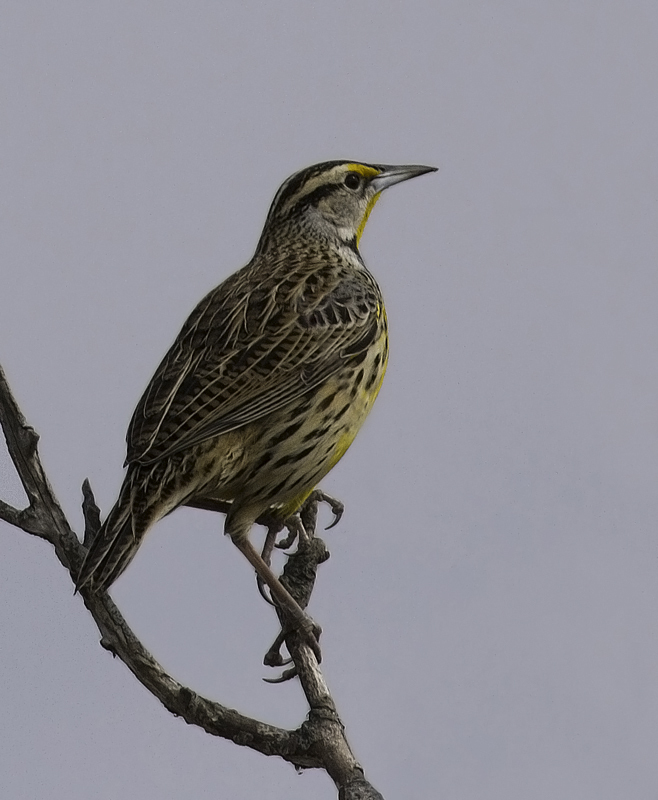 Below: An Eastern Meadowlark that was feeding on the grassy margin of the Assateague Island causeway (2/27/2011). 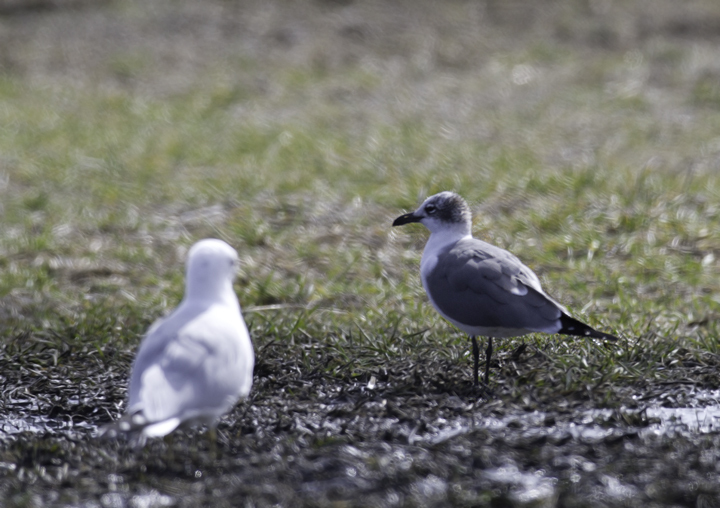 Below: Mikey Lutmerding documented the first Laughing Gull of the season at The Pig Farm in Dorchester Co., Maryland (2/27/2011). 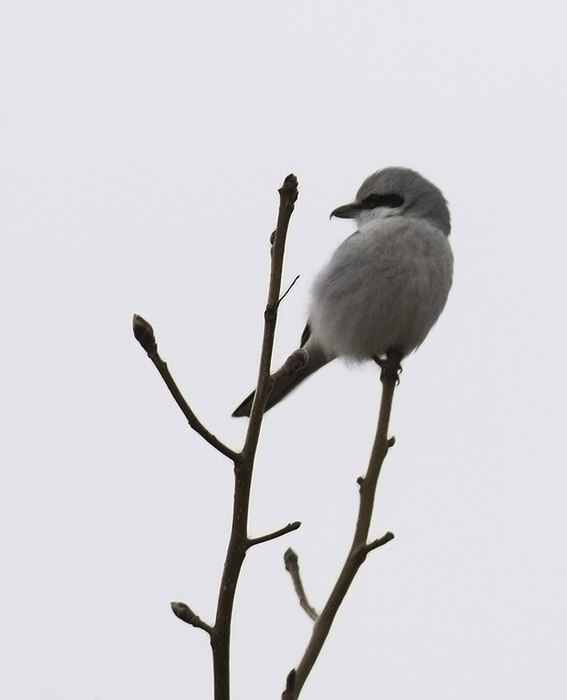 This is the same day as last year, and the same day as Delaware and New Jersey's first of the year. 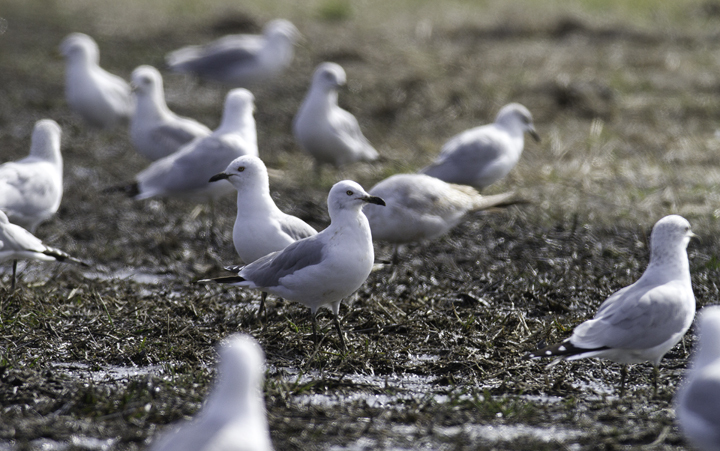 Below: Many of the 1,600 Ring-billed Gulls had black bills from the mud - Dorchester Co., Maryland (2/27/2011). 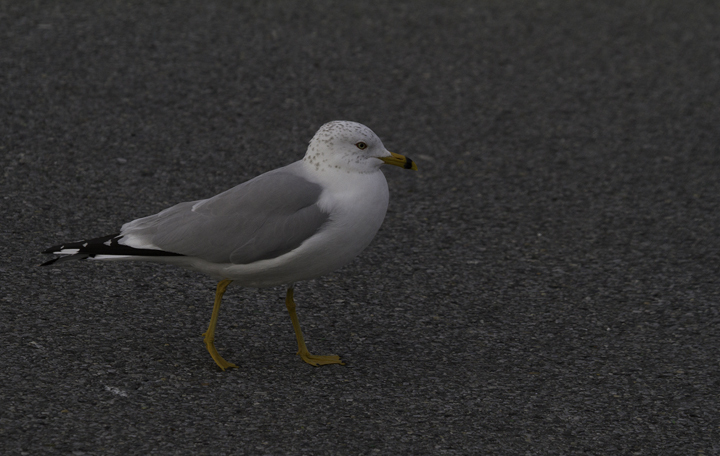 Below: An adult Ring-billed Gull with especially bright bare parts - Ocean City Inlet, Maryland (2/26/2011). 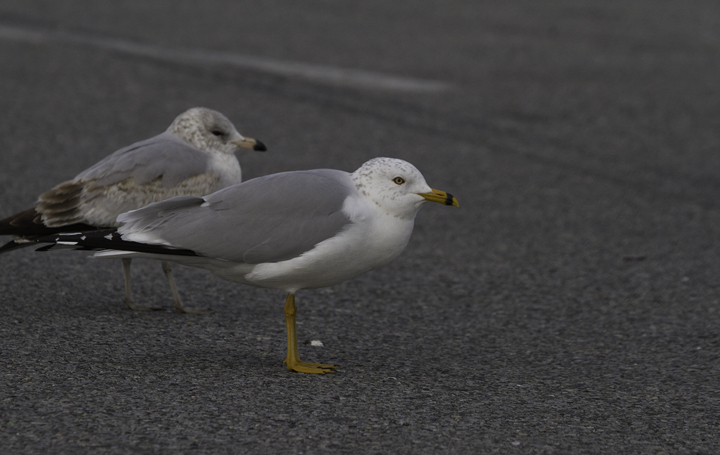 Below: A second-cycle Ring-billed Gull at the Ocean City Inlet, Maryland (2/26/2011). 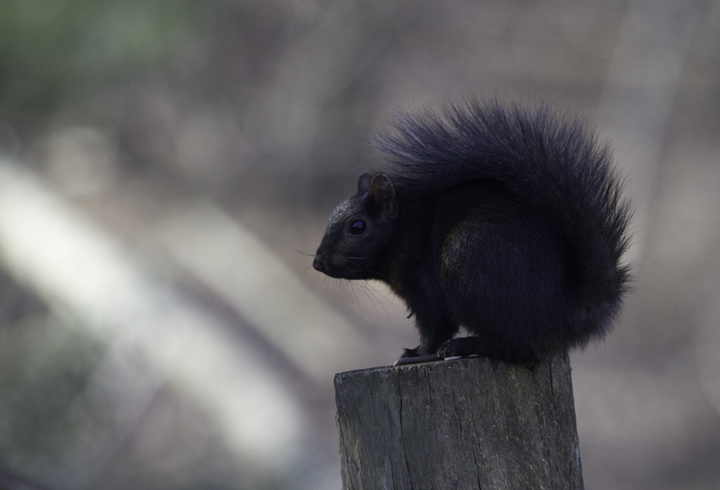 Below: A black-phase Eastern Gray Squirrel in Howard Co., Maryland (3/3/2011). 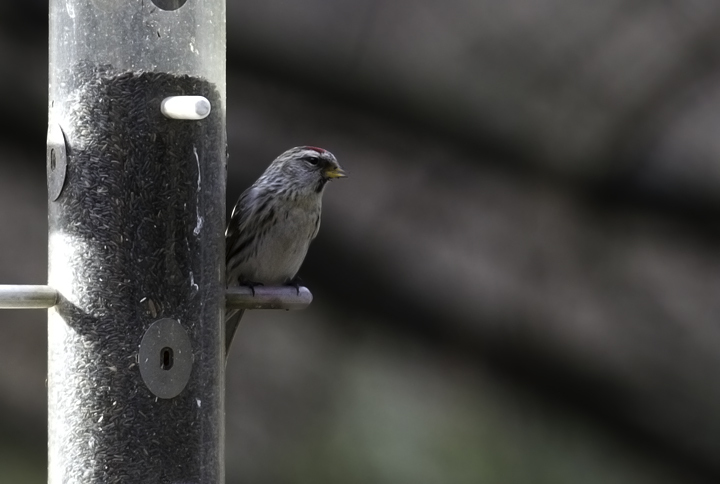 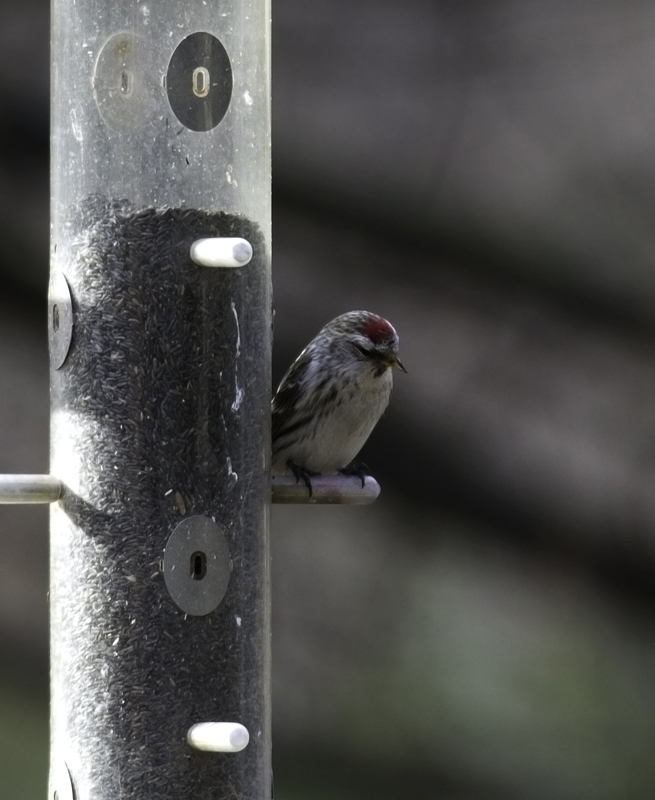 Below: A Common Redpoll in Howard Co., Maryland (3/3/2011). 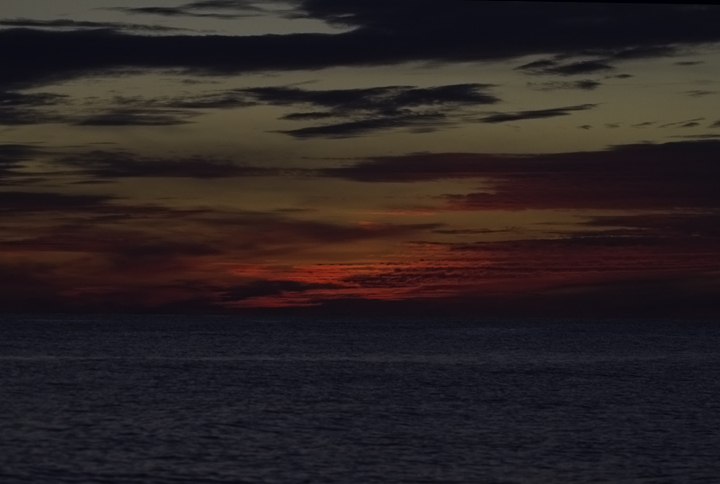 Below: The sun rises as we head out to see for a Maryland pelagic (2/26/2011).